Examples and solutions for High School Math based on the topics required for the Regents Exam conducted by NYSED. 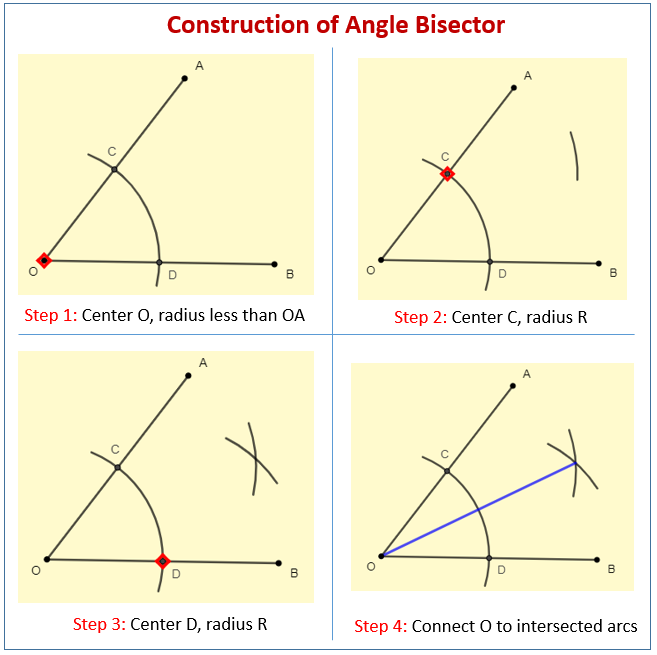 The following figures give the steps to construct an angle bisector. Scroll down the page for more examples and solutions. An angle is formed by two rays with a common endpoint. The angle bisector is a ray or line segment that bisects the angle, creating two congruent angles. To construct an angle bisector you need a compass and straightedge. Using compass and straight edge to bisect an angle. Shows how to bisect a given angle using only a compass and straightedge.